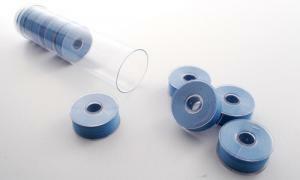 Clear-Glide is a high-tenacity polyester filament ready-wound bobbin. Clear-Glide is wound on a plastic sided bobbin shell. 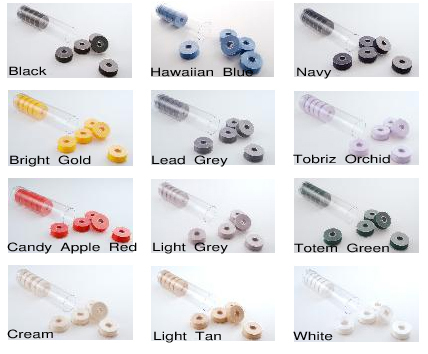 Designed for today's home sewing machines, and is the "clear-choice" for drop-in bobbin cases. Offers more stitches (or yds/bobbin) than competitive or machine wound bobbins. Works well in conjunction with thread sensors. Is ideal for embroidery, general sewing, and productivity minded quilters. Two box minimum of any combination of our Clear-Glide products.